On August. 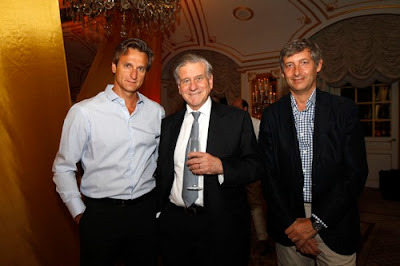 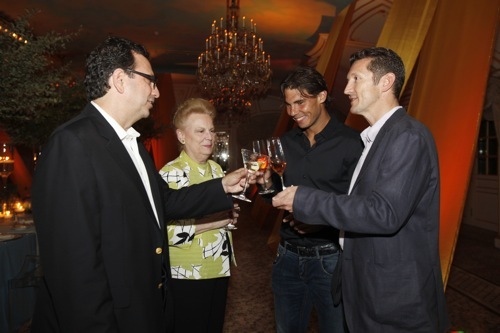 26th, just before the start of the U.S. Open, Richard Mille and the St. Regis Hotel New York co-hosted an intimate dinner for defending champion Rafael Nadal and 25 VIP guests. 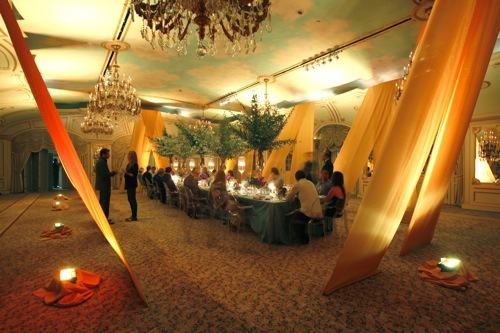 Attendees recogida in the Rooftop Ballroom of the St. Regis for rose champagne, followed by Napoleon Ahi Tuna, Sea Bass, and a fruit dessert prepared by the kitchen of Alain Ducasse's Adour dining room. 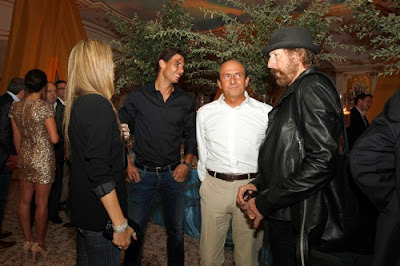 At the end of the evening, each guest received a Richard Mille limited edition of the Babolat tennis racket That Nadal uses in competition. 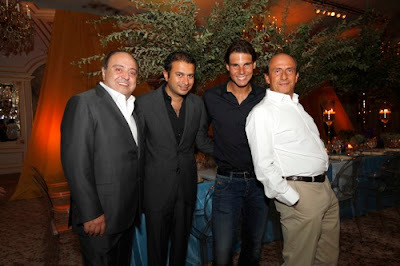 Rafael Nadal Richard Mille is a brand ambassador, and wears the Tourbillon RM 027 Rafael Nadal, Both on the court and off.